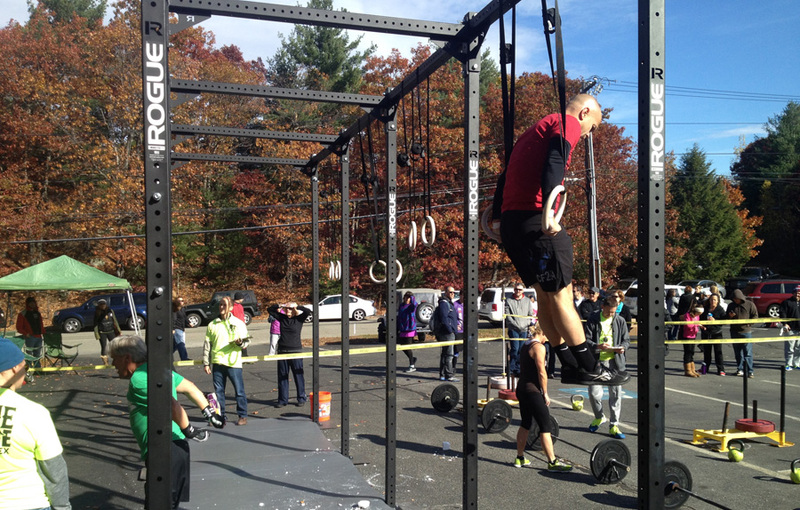 Saturday was spent at CrossFit New England for their 2nd annual Masters Competition. There were hundreds of 40+ athletes for a coll, long day of workouts. The night before the comp, CFNE posted the "Playground" workout video. Besides the standard stuff (what to do in the workout), they included some bonus items. There would be two opportunities for bonus points in the competition. These would come as two 30 second mini-WODs - 30 seconds of muscle-ups and 30 seconds of 135# snatches. I was very excited to finally have a chance to do both of these in a competition. I am admittedly a beginner with muscle ups, but I was eager to get at least one. As it worked out, I got exactly one muscle-up and 3 snatches. The two bonus rounds happened right after the obstacle course and were back-to-back. 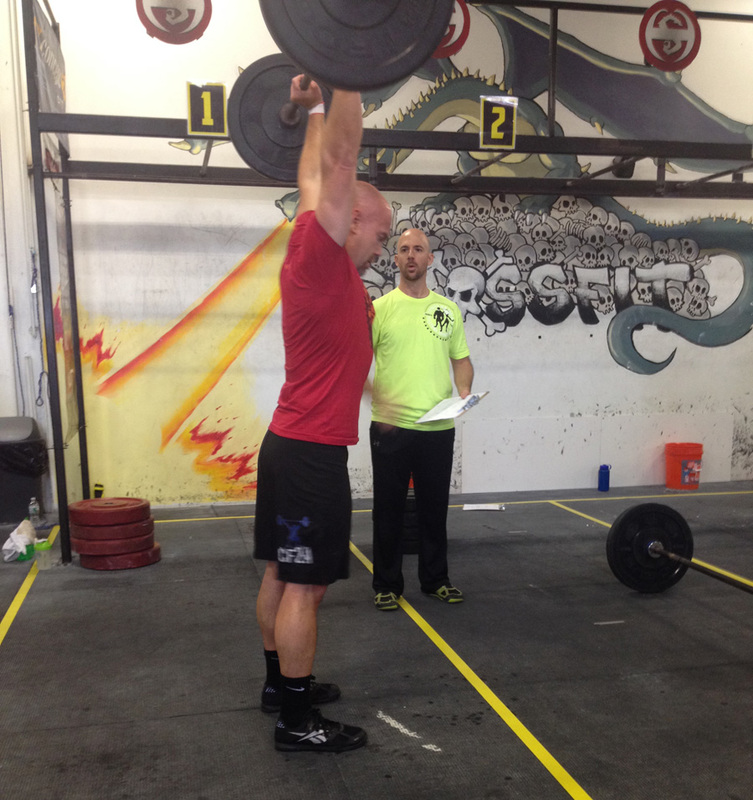 I would have had 4 snatches, but I tossed the first one right over my head and out the back. My other workouts were good. I did better than my practice sessions for everything. I was plenty sore on Sunday, so I must have worked hard enough. I ended in 32nd place of about 45 athletes in my age group. This was a great time and will serve as a good bench mark for how I improve over the next 12 months.